Transport for London (TfL) was created in 2000 and is the integrated body responsible for the Capital’s transport system. Each year, 1.34 billion passengers travel across London using various modes of transport including train, tram, bus and tube. As the Mayor’s Transport Strategy prepares towards a growing London population, key TfL objectives include providing better journey planning information and making travel in the capital simpler and more enjoyable. Millions of journeys are made across London each day by passengers – many regulars and many less familiar. All challenged with being able to effortlessly complete journeys across the city, TfL were battling with being able to provide their large volume of passengers accurate, simple directions - and promptly. With a variety of transport modes including trains, trams, buses and tubes across 921 locations, TfL needed to ease the repetitive enquiries from their contact centre agents, and find a more efficient solution. Perfect for repeat enquiries, Eckoh tailored an IVR system, known as ‘Journey Planner’ to enable callers to get personalised, real-time journey planning information across all London locations and all modes of transport. This enabled callers to specify their search by travel time, mode of transport and number of interchanges. If the caller is a repeat user, the system ‘learns’ their travel preferences- each time improving the service speed and offers a personalised customer experience. Eckoh’s Journey Planner is able to seamlessly connect to the TfL information database. With ongoing scheduled improvements across the London transport system - this enables real-time service bulletins to be played to customers if any part of their journey is affected. Provide fast, easy and efficient with up to date information for callers. Handle large call volumes. Journey Planner has handled almost 1.6M calls since the system went live, over 175,000 minutes of calls per annum and 230,000 minutes per year. Becoming the smart and convenient way to travel across London, Oyster cards can be loaded with pay as you go credit, travel cards, season tickets and used on card readers. With an average of over 2.5 million Oyster Cards being used to travel across London each day, London Underground staff across stations were regularly being approached by passengers seeking assistance for their Oyster card. As these staff members were approached outside their ticket offices, they didn’t have specific information available to solve passenger queries - and would have to send them elsewhere for help. London Underground decided the best way to give staff access to information about the status of an Oyster card, was via the telephone. Eckoh developed an IVR that allows staff to get information about an Oyster card once they have securely identified themselves with their employee ID and station. Once identified, the staff member is advised of the card holder’s name, password for card, balance, discounts, if it has been hot listed and the type of card. Enabled the first staff member approached able to solve the query without having to direct the passenger elsewhere. Since implementation, has taken almost 125,000 calls with over 98% of London Underground staff being able to successfully identify and obtain the required information. TfL operates five large contact centres to answer thousands of calls every day, one of which runs 24 hours a day. TfL’s aim was to introduce more customer self-service to their telephone system, but their current call routing supplier hampered their ability to add more functionality. 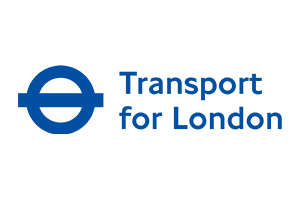 TfL turned to Eckoh for help and we introduced EckohROUTE – a flexible and effective call routing system that also offers real-time reporting, IVR creation, self-service integration, dashboard reporting and flexibility to integrate with other systems. They now have the power to change or create their own IVRs at a moment’s notice, and generate their own system performance reports at the click of a button. TfL could also integrate with any customer self-service system, such as CallGuard; bringing greater scope, efficiency and security to their customer service technology. Integrating Oyster Card, Journey Planner and other phone services with a customer identification and verification module, enhancing greater security for customer accounts. Designed to reduce the large amounts of traffic congestion of motorists in areas of Central London, the Congestion Charge was introduced in 2003. This charge imposes motorists to pay a daily tariff to enter the congestion charge zones. Although the congestion charge eased traffic on the roads, TfL’s phone lines were becoming busier with motorists seeking to pay their charge.Burdened with long wait times and escalating telephone queues to pay these charges, TfL needed an automated payment service that could take payments without the need to speak to an agent. Through strategic partner Capita, Eckoh implemented a payment IVR which uses advanced speech recognition technology to identify the driver by their car registration, make and model of card. When prompted, the customer pays charges associated with their vehicle by entering payment card details securely using their telephone keypad. Ensuring precision and efficiency, the speech recognition payment IVR is extremely accurate, understanding thousands of variations of providing a car registration, as well as numerous dialects and accents. Within six months of going live, the penalty charge notice service handled 381,000 calls per annum, two million minutes and 86,000 payments with a value over £7million. Handling of large call volumes and payments. When paying for travel on trains, underground and buses, customers used to top up their Oyster Cards. Now customers have the choice to use just their contactless payment card to travel around London – touching the pads with their cards as they enter and exit stations or stops. If a passenger phones Transport for London regarding a payment, the only way of identifying the customer is through the card details that were used to pay for the travel. This posed a security/PCI DSS challenge for TfL as contact centre agents cannot ask the customer to relay card details verbally over the phone. Eckoh implemented an IVR using EckohROUTE (see above) specifically for contactless payment queries that would ask the caller to enter their card number using their telephone keypad. The main aim of the service is to identify, verify and retrieve a token from the caller before transferring them to a call centre agent. When the call is transferred, the payment information gathered from the caller is transmitted to the agent system. This means the agent will answer the call with some information including a token for the contactless card payment that they need assist the caller. If a caller fails to enter their card number or expiry date correctly, they will be transferred to a call centre agent to verify the caller and their payment. To ensure the agent isn’t exposed to card data at this point, Eckoh implemented a version of CallGuard. This enables the caller to enter card details when prompted by the agent using their telephone keypad. When this is comThe agent then receives a token notification to say if the card is valid or not. Callers can also make secure payments through an agent if necessary. If the IVR doesn’t recognise the card details, an agent can help without being exposed to card details. The service for IVR and Agent assistance is fully PCI DSS level 1 compliant. With help from Eckoh, TfL has been able to improve the travelling experience for millions of customers. From providing precise travel information through the phone, to enabling customer to pay for services quickly and efficiently. By evolving its systems to introduce more innovative customer self-service options with Eckoh, Transport for London has reduced the pressure on their live-contact centres and station staff, giving a faster and more secure response to customer enquiries. What is paramount to us is the delivery of excellent customer service to the general public. Eckoh’s industry leading technology delivers this and enables us to ensure that calls are directed to the right place, first time and provide a quick, convenient and positive experience."